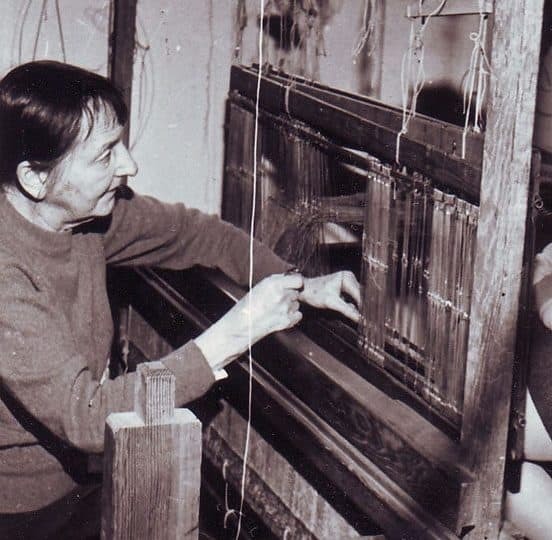 Her Royal Highness was met by Jenny Dyer and Natalie Jones who explained the unique position that Humphries Weaving holds in the historic restoration market. Particular areas of discussion were the deep level of research undertaken and painstaking attention to detail required for authentic fabric reproductions. 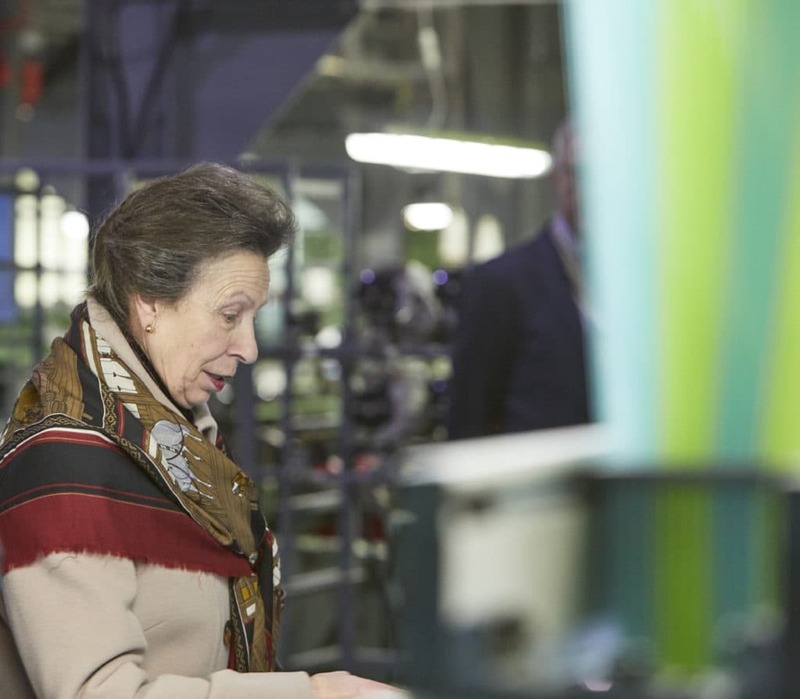 “Her Royal Highness was interested in how we translate traditional natural dye colours accurately within modern dying techniques, a process in which Humphries Weaving prides itself. We talked about the, often surprisingly, vivid and deep tones achieved in historical schemes” said Natalie Jones. Demonstrating the scope of the projects undertaken by the company, examples were shown of research, drawing, colour development and sumptuous woven silks for the restoration of the Saloon at Brighton Pavilion and the Red Drawing Room at Castletown House, Ireland; both set to launch in 2018. The UK Fashion and Textiles Association work to raise the profile of suppliers and manufacturers of British textiles.